At the IKBA we value teamwork, all of our members share the IKBA’s dedication to excellence. 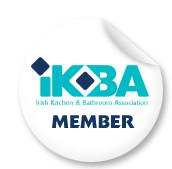 When you choose an IKBA member for your kitchen or Bathroom project you can be sure that you are buying from the best in the business. All of our members share the Associations commitment to quality and customer service and have met the Associations stringent membership criteria. Our members are independent kitchen, Bathroom and fitted furniture specialists who share our commitment to excellence and who meet the associations stringent criteria for membership. At the IKBA we value teamwork and recognise that good communication between our members and other professionals is critical to the success of many projects. Therefore we’ve invited the very best architects, designers, builders, crafts and trades people to join the IKBA as associate members.